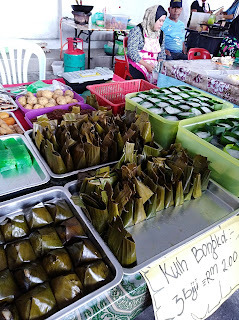 Finally, we visited the on-going Ramadhan bazaar in emart Batu Kawa. On the 7th day of the Puasa month. 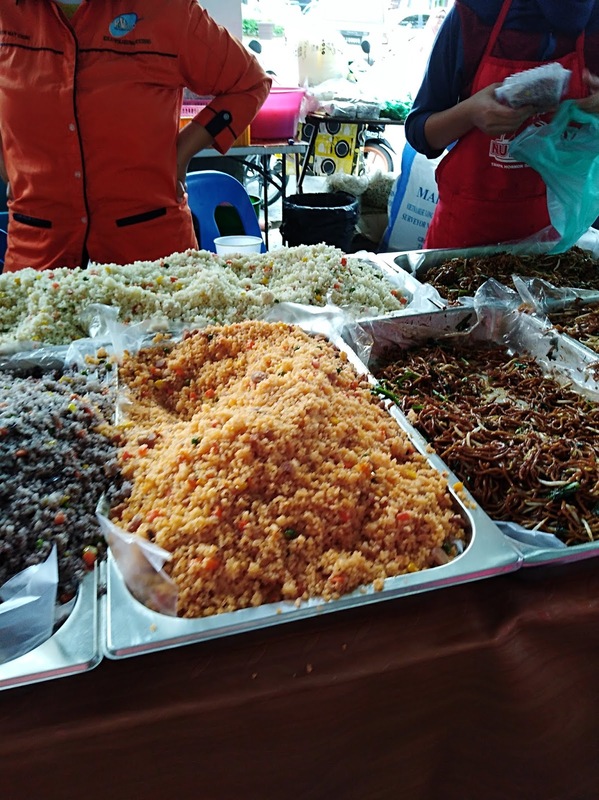 It was much smaller than last year but they had usual stalls such as kuih, kebab, roti John, rice and noodles, satay, ayam bakar and drink stalls. I were actually looking for a specified rice dish that day but disappointingly, none of the stalls have it. Anyway, we got what we wanted for dinner. We reached there slightly after 4.30pm so not many people around. I like that. Less crowd, no need to squeeze around. 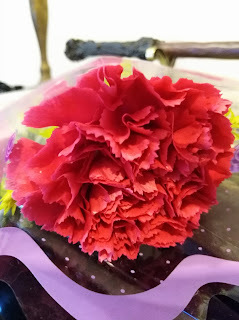 These were what we bought from the bazaar. 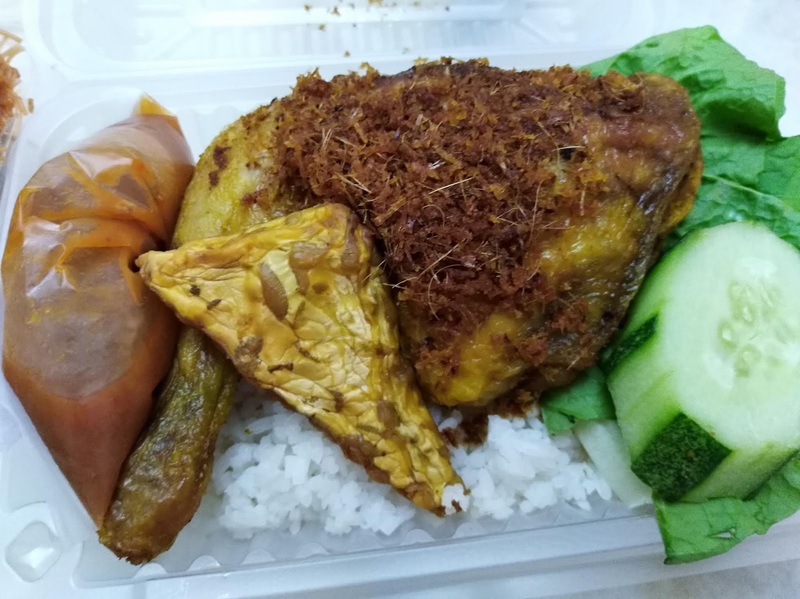 A packet of ayam penyet RM7. 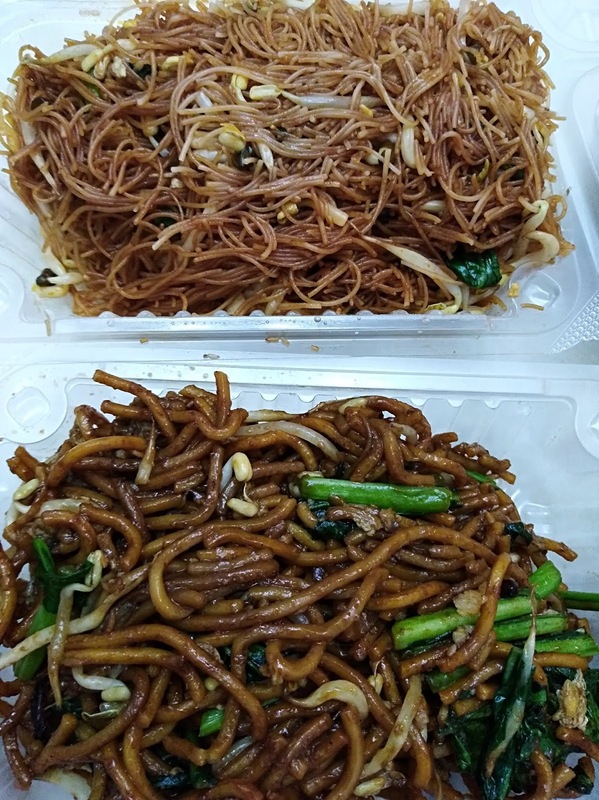 We bought these fried noodles from another stall. 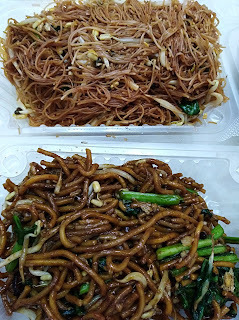 Surprisingly RM2.50 each and they were good. From the same stall, this fried dabai (black olive) rice. Plus chicken wing, it cost only RM4.50. This stall enjoyed good business. So many fried dishes on the tables and a young cook was busy cooking and refilling the empty trays. I tasted the dabai rice and fried mihun. Very good. And amazingly, the portion was big. But then again, I wish I could visit other bigger bazaar before it ends. Fingers cross. One Sunday we went to Aeon Mall for lunch. 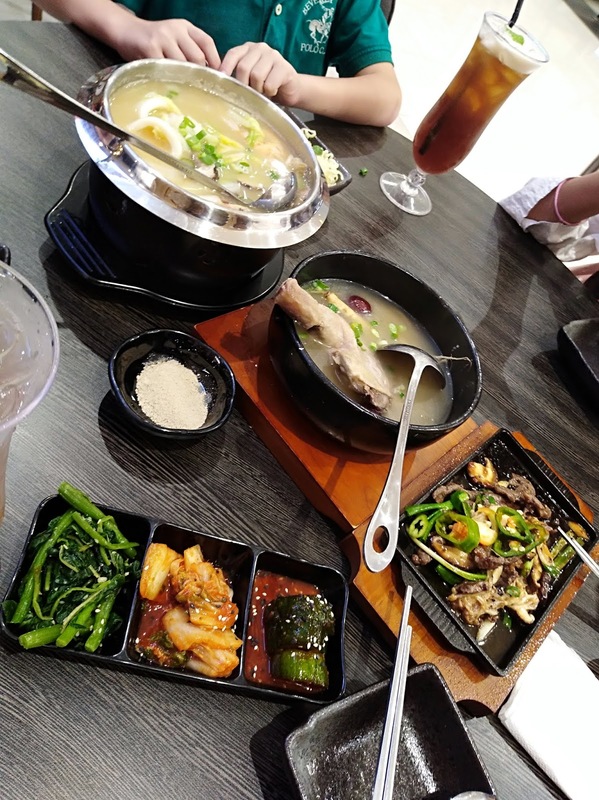 We didn't have any ideas on what and where for lunch but we were rather not going to Food Avenue again because the food was so so only. 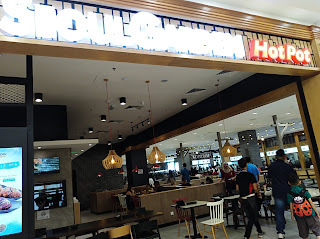 However the outlet next to it caught our attention the first time we were in Aeon Mall. Seoul Garden. Telling you the truth, it has few outlets in Kuching but never have we tasted its food. So I guess it was time to do so that afternoon. 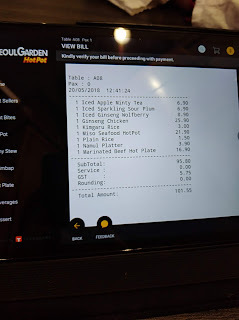 After looking through its menu (English and Korean words with description), we placed our order through the ipad on the table. 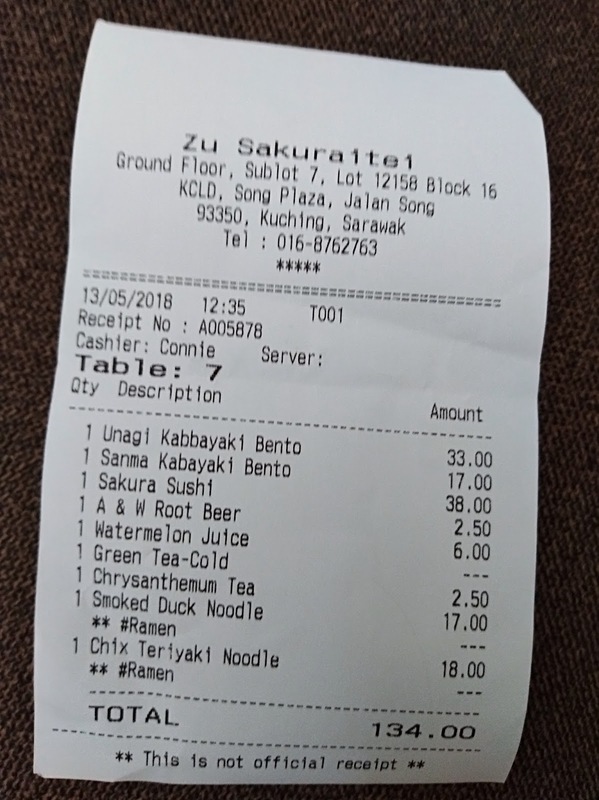 GST was still implemented. Soon, the food was served on our table. Only few tables taken so the serving time was short. 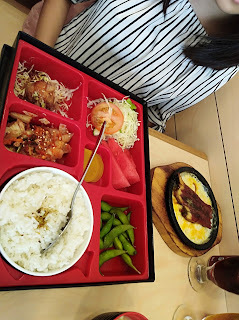 We didn't dare to order much as worried the kids wouldn't know how to enjoy the Korean dishes. Namul platter to start off our lunch with water spinach, kim chi cabbage and prickled cucumber. 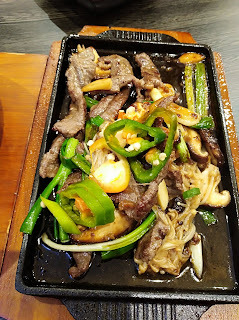 We ordered this hot plate beef which we really enjoyed. It was good and tender. 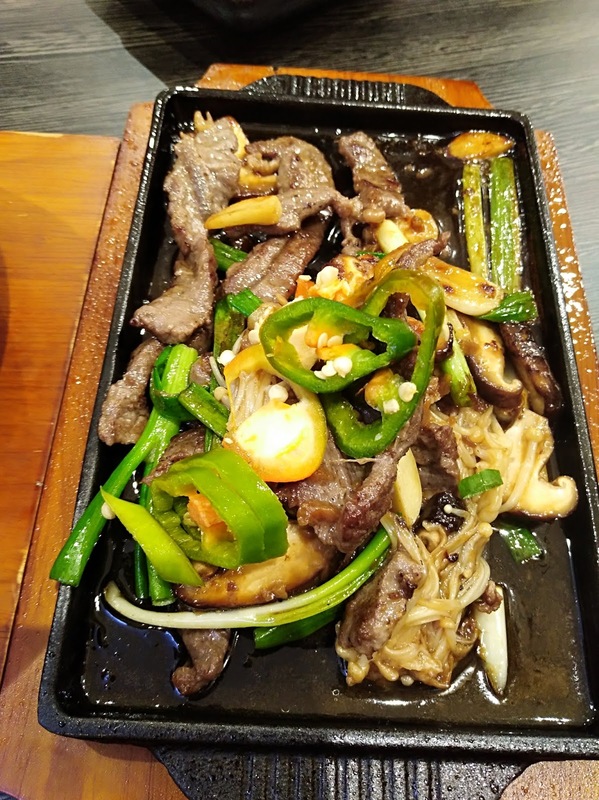 The mushrooms that came along with the beef were nice as they've absorbed all the tasty marinade and sauce. 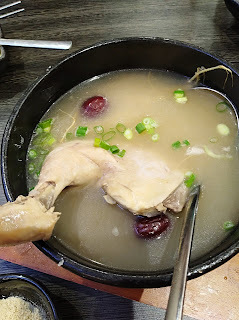 One thing that I missed about Korean cuisine was its ginseng chicken. 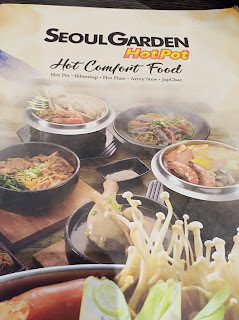 We had the whole spring chicken stuffed with rice and herbs back in Korea but in Seoul Garden, we got a thigh for our ginseng chicken. 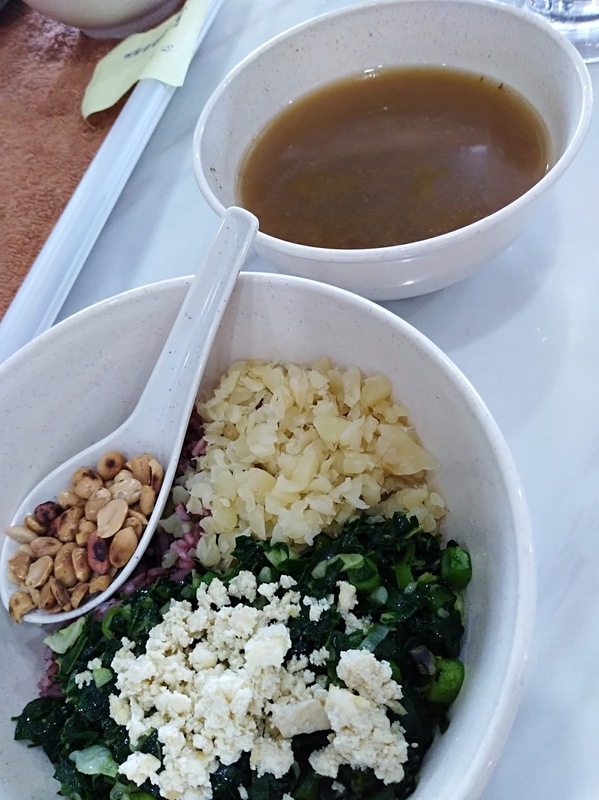 Taste-wise, the soup was comforting with the strong taste of herbs especially ginseng. 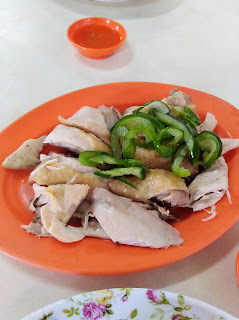 The chicken was so tender that it fell off from the bone easily. They also gave us a small saucer of pepper salt mix in case we needed extra taste. Another soup dish, Miso seafood hot pot. 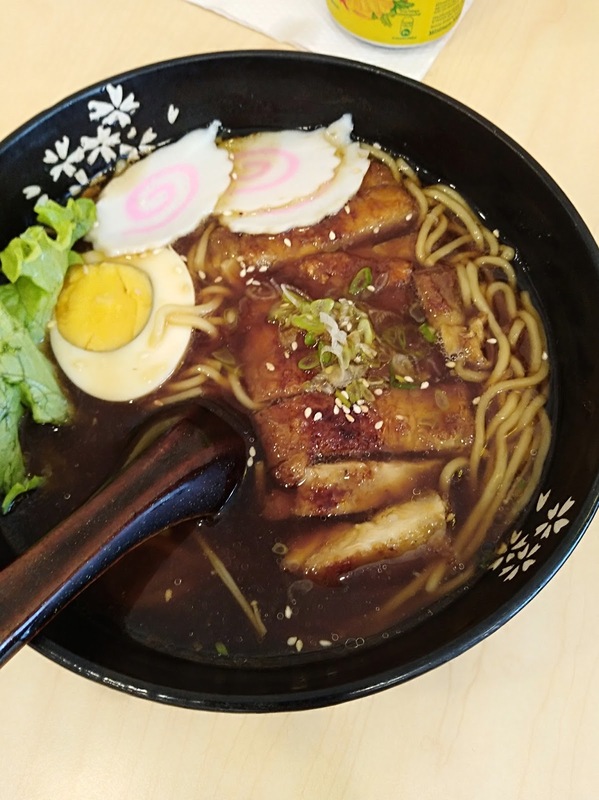 For those who love miso soup, this soup is definitely for you. 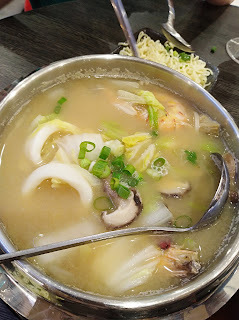 Lala, scallops, squids and prawns were the ingredients other than cabbage to make the soup tasty. 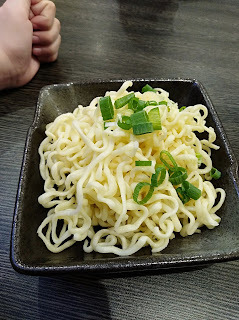 We ordered 2 small plates of cold noodles for the boys while a bowl of white rice and a bowl of kimgaru rice. 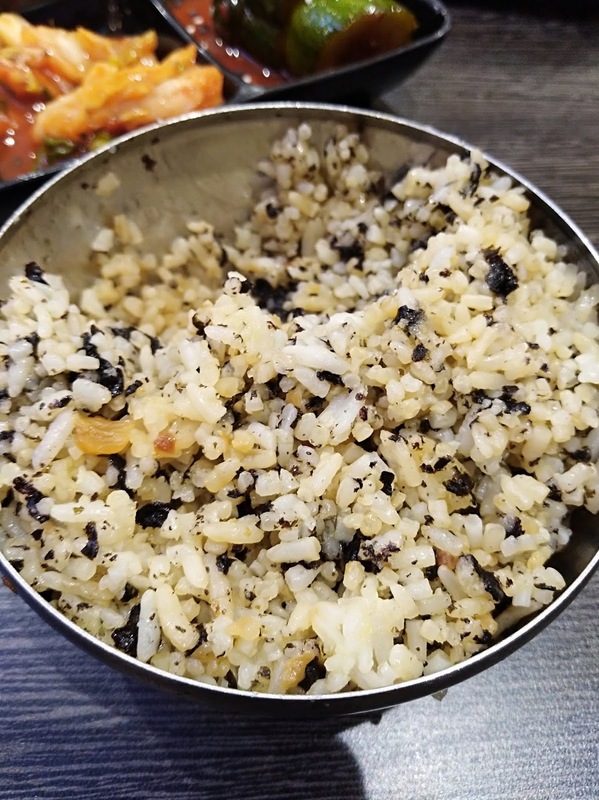 I had most of the kimgaru rice as I like the seaweed flakes in the rice. Weekend is here again! And I have a simple recipe to share with you. 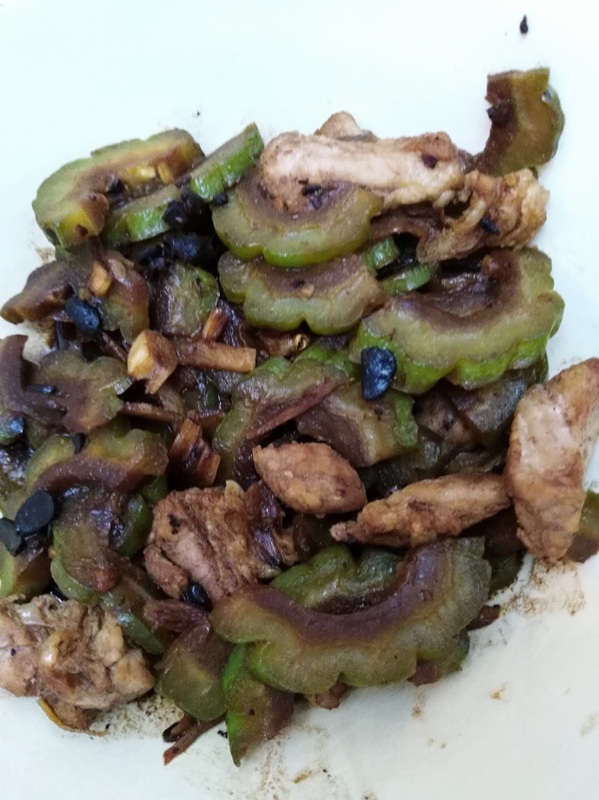 I know, it has been a while since my last recipe post. I didn't whipped up new recipe, partly because we mostly eat out or I just cooked something simple for the family. 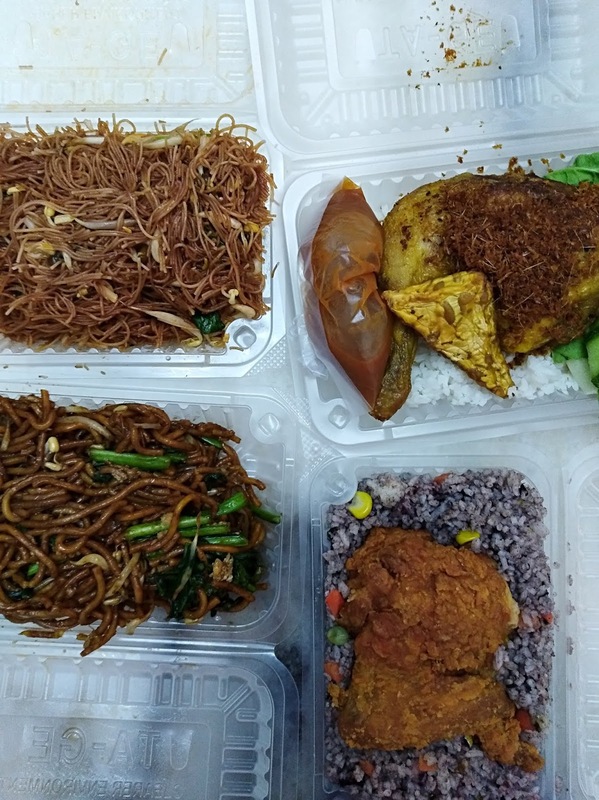 But last week has been a long weekend, and I took more initiative to cook at home. 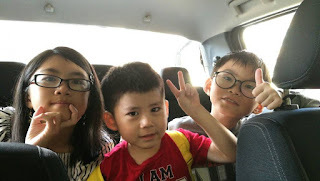 Kids still have some exam papers pending back then so we spent mostly at home for them to study. Bitter gourd! Something I rarely cook at home. If I do, it would be in soup. 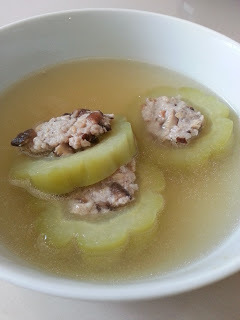 My stuffed bitter gourd soup, good for cooling on any hot day. 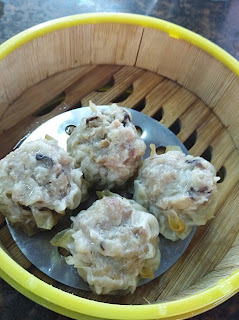 Back to last weekend, I cooked this salted black beans bitter gourd with pork belly. 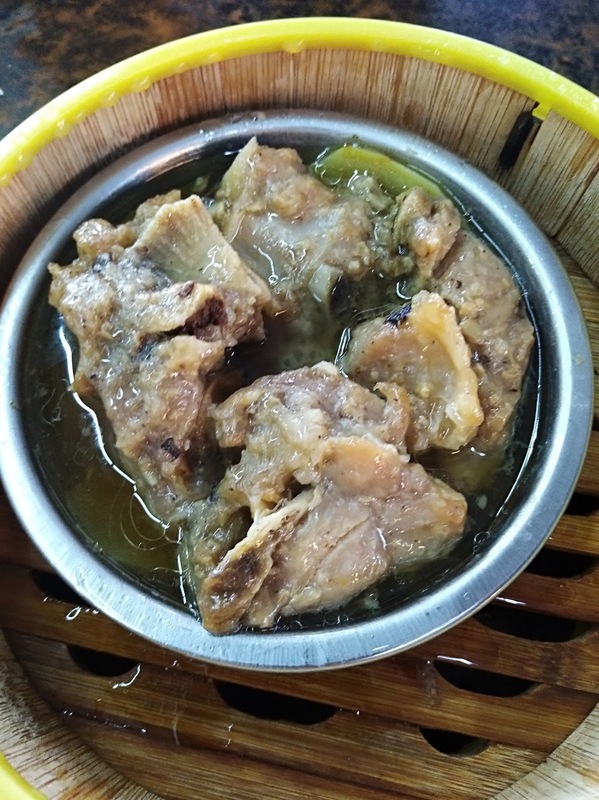 Super appetizing with bitter and salty in one dish. 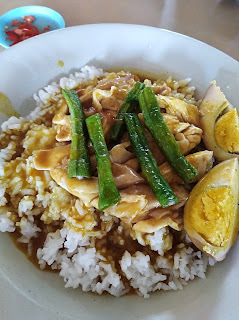 This recipe is 'agak-agak' as I used whatever I could find in my fridge and freezer. 1. Chop and remove the middle part of bitter gourd. Soak in water added with 1 tsp salt for about 30 minutes to reduce the bitterness. Drain before cooking. 2. In a wok, add in vegetable oil and saute garlic and ginger till fragrant. 3. Add in pork belly. Let it cook for about 3 minutes before add in the bitter gourd. Saute for few minutes. 4. Add in sugar, salted black beans and water. Let it simmer till the gravy reduce and thicken. Dish out. No, I don't have a big mouth. I am referring to the name of this coffee shop in Jalan Dogan. 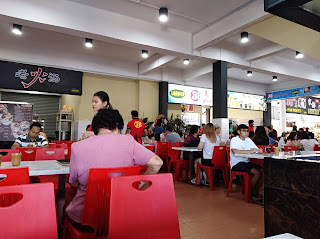 One afternoon we went to this Big Mouth Food Centre for lunch before dropping my boy in his tuition centre. We hardly come here for lunch. Somehow we never thought of this place. Maybe the location. Or maybe nothing enticing. 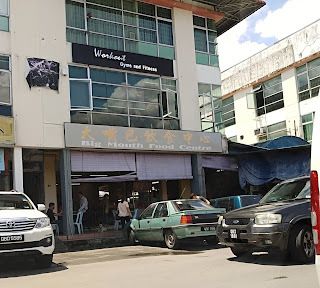 It is just like any coffee shop in Kuching. 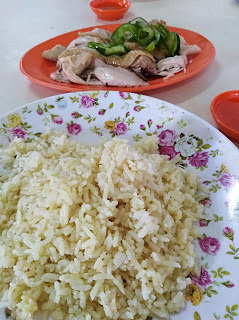 However we used to love the chicken rice here but no longer so as we could get good and cheaper chicken rice somewhere else. Not so long ago I was there with my children but not for the chicken rice. 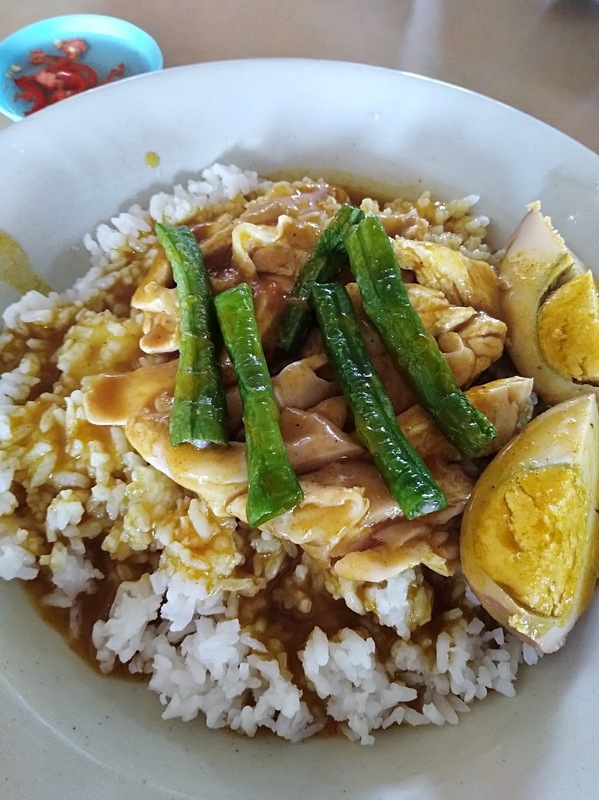 I were craving for curry rice that day so I went for the normal curry chicken rice. Not that fiery but taste-wise, it was acceptable. 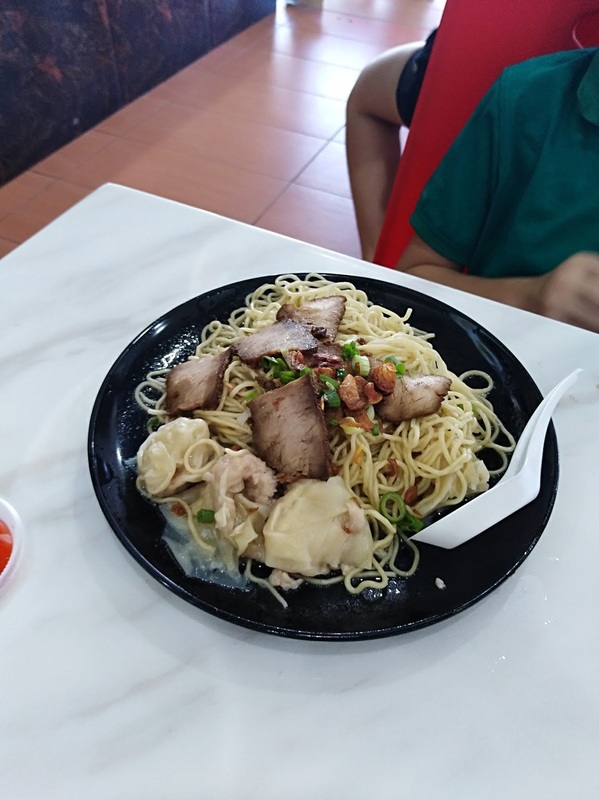 My boys as usual went for kolo mee. 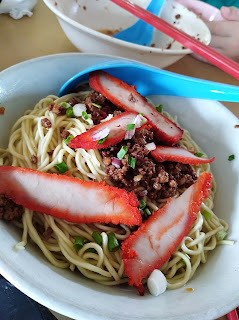 They wouldn't grow bored or tired of kolo mee. 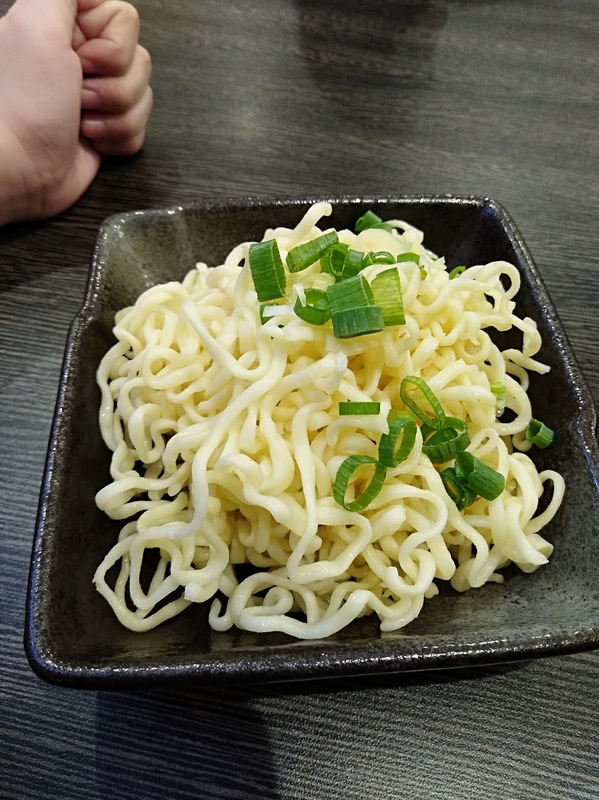 Jay had 1 1/2 bowl of this noodle and the balance was finished by Jamie. It must be good for the boys to like it so much. 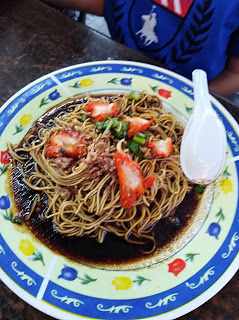 As for my girl, she ordered fried mihun from the Malay stall. She commented the vermicelli was nice and chewy. I could see that it was well fried; not mushy or wet. I don't like that. Everyone finished up their lunch. Not in one big mouthful, of course but we finished and cleaned up our plates (and bowls), leaving nothing behind. 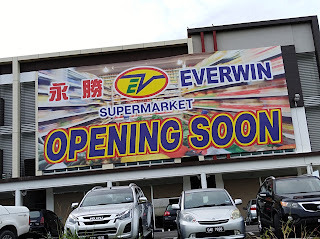 I am surprised to find that this supermarket from Sibu is opening soon in MJC Batu Kawa. 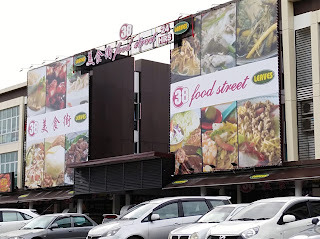 The new shop lots opposite the Batu Kawa Petronas station. 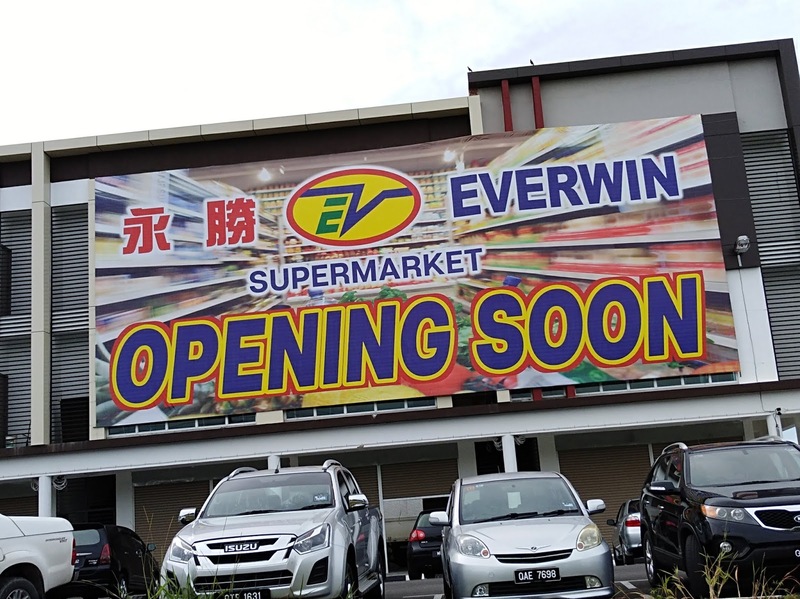 The shops have been underwent renovation for weeks and expecting to open soon. They are taking the whole stretch of shops at the back while 2-3 shop lots in the front that facing the main road. 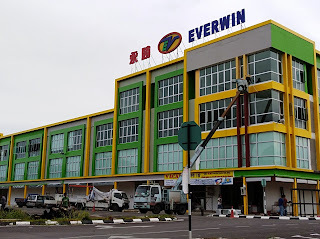 I had vivid memory of this supermarket as it was the very first supermarket that we visited and bought our necessity when we moved to Sibu back in 2013. 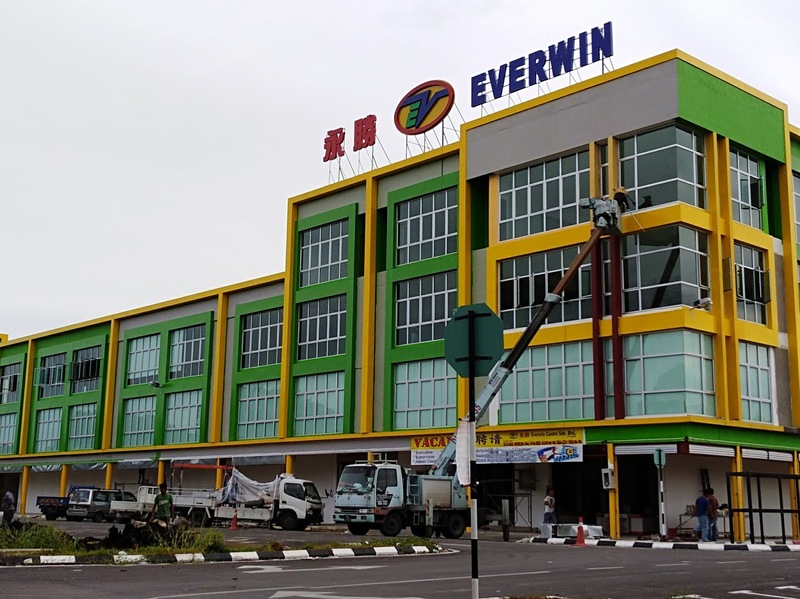 Everwin in Jalan Pahlawan. And after years, they are here to compete with our local supermarkets that situated in MJC; namely Everrise, Choice Daily and H&L. Not forgetting the hypermarket, Emart which is few minutes drive away on the other side of the road. 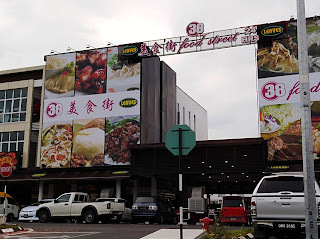 Not so far from this new supermarket (facing the main road) is this newly opened food court, 38 Food Street. They have few food courts around Kuching and one of them that we have been to was in Stutong last year. 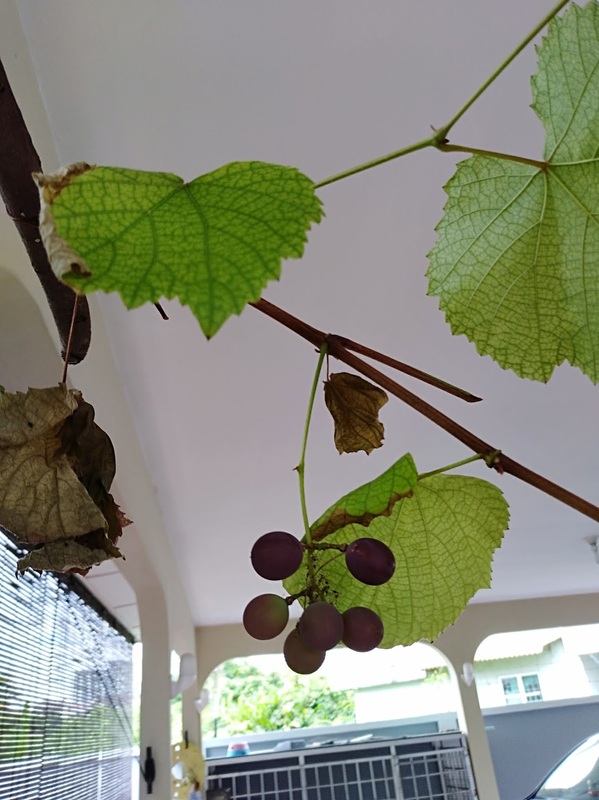 One thing I remembered about the Stutong branch was it was well maintained and clean. And now with it so near to our house, we have to go to this MJC outlet last week to check its stalls out. 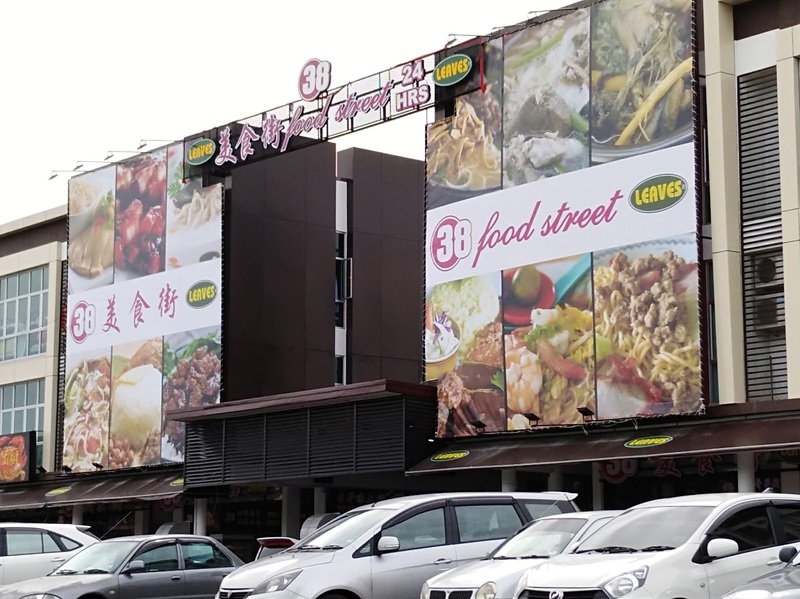 A very huge food court, occupying 5 shop lots. It was a long weekend here with Thursday and Friday have been declared state holidays. We were here last Thursday but oh boy! The place was full with patrons. 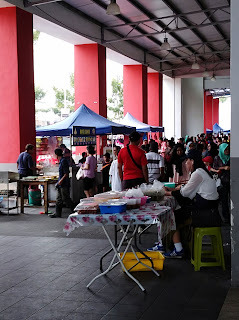 Many stalls operate in this large food court. They occupied few shop lots. 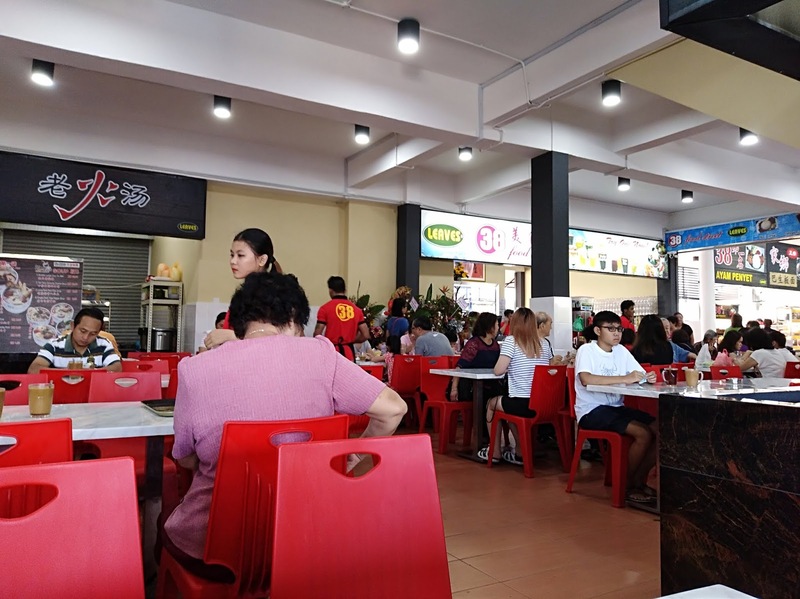 Finally, we have a decent food court in MJC! Price-wise, I thought it is slightly expensive than other places. I had Sarawak laksa that morning. RM8 for the normal portion. 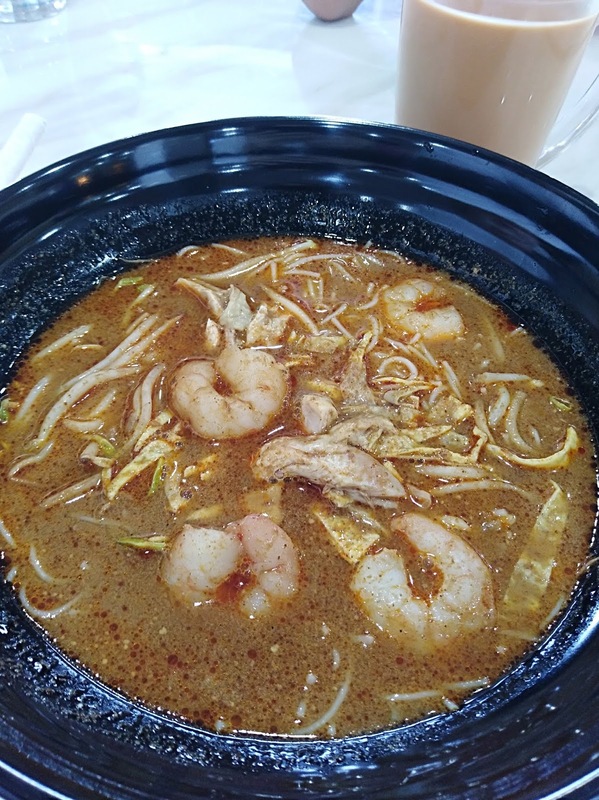 The bowl was big and the laksa only filled up half of the bowl. Taste-wise, it was so so. 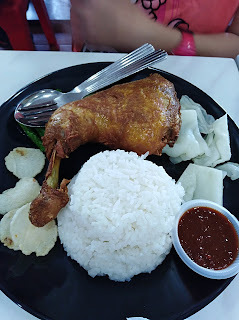 Jan went for ayam penyet. Not so 'penyet' to me. It was more of a fried chicken rice with no spices detected. My health-conscious man had lui cha for breakfast. He didn't take much of the bitter soup but overall, it was acceptable. 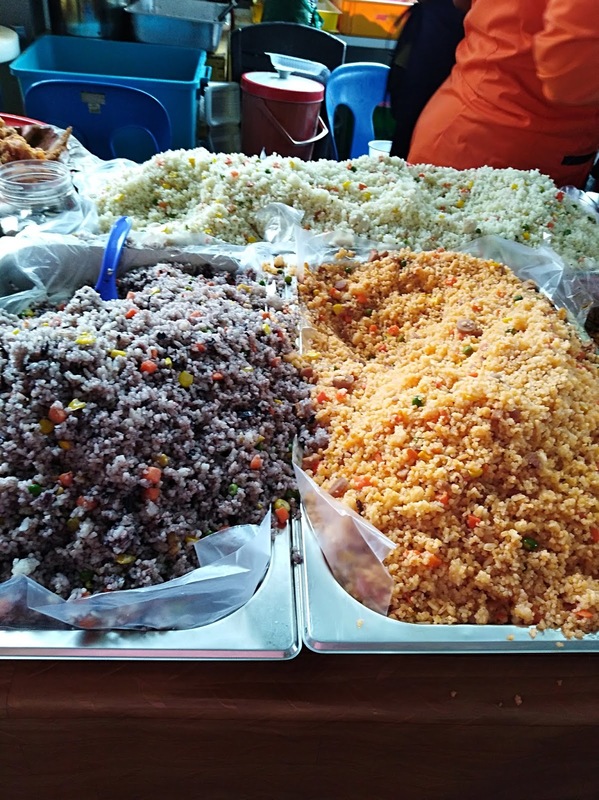 They served with brown rice. 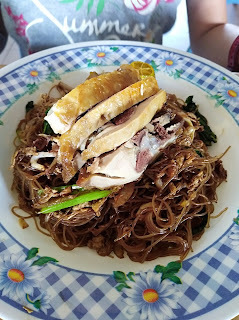 Last to arrive on the table was my boy's kampua. It took quite sometime for it to be served. His only came after we finished our food. 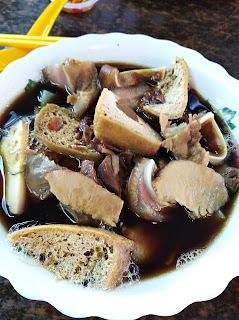 Big portion of white kampua with sliced pork and dumplings. We will definitely come back here to try food from other stalls. 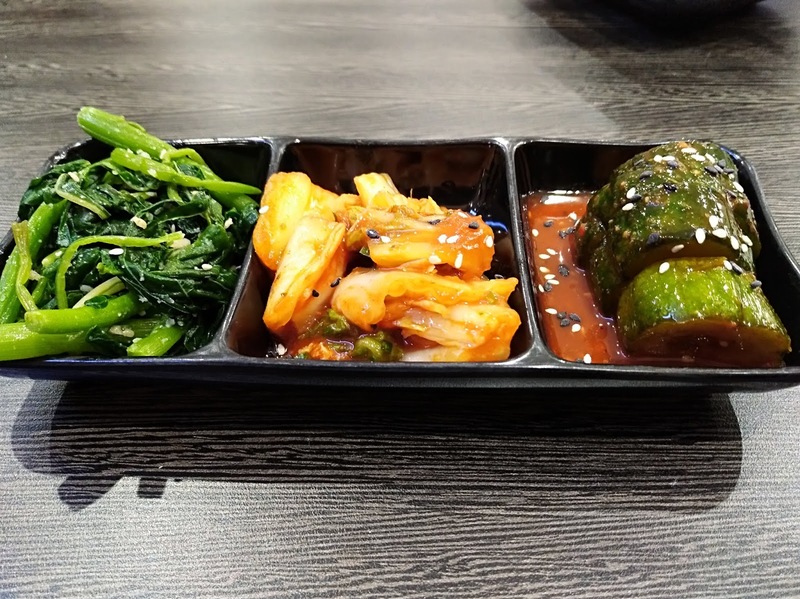 We are spoiled with many food choices here but one must try and see if the food is good and worth the price or not. Update on my mum's grapevine! 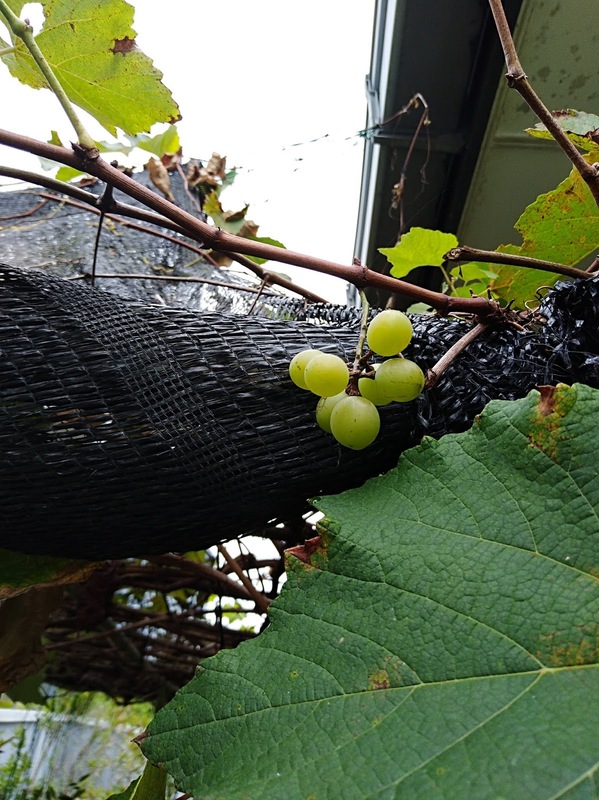 A bunch of green while another bunch of red grapes. 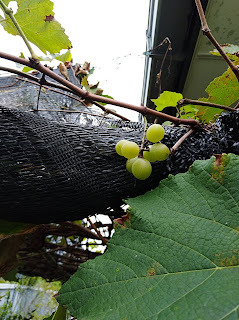 3 fruitful bunches but wonder when they are ripe and can be eaten. 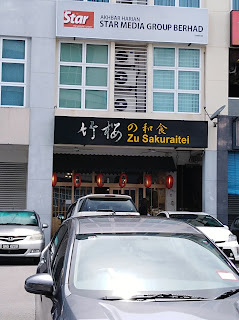 Last Sunday, we went to Zu Sakuraitei in Song Plaza, Jalan Song. Since it was Mother's Day, I had the privilege to choose what I wanted for lunch. 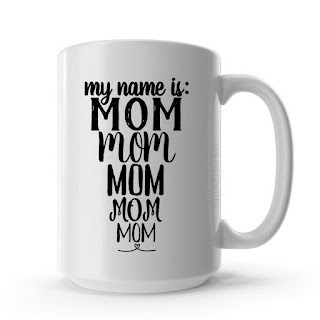 So this mummy went for something that she likes! Japanese! And that was how we ended up in Zu Sakuraitei. 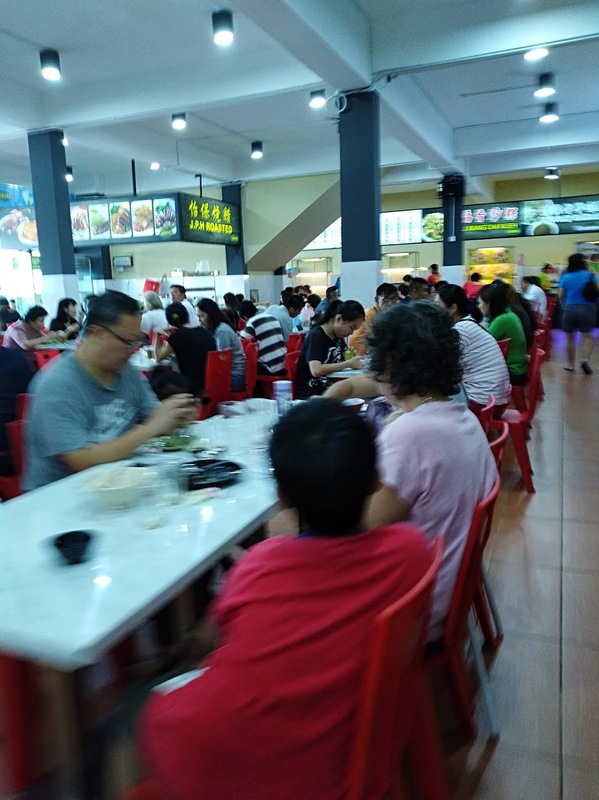 We had to wait for our table as the place was packed when we were there. After waited for about 10 minutes, we got our table. Without further ado, we ordered our lunch. My dish came first. 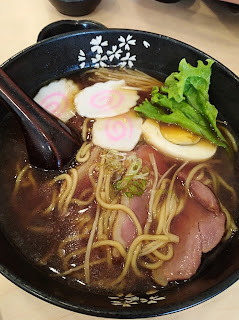 Smoked duck ramen. So, so good and comforting. Jay went for chicken teriyaki ramen, which was nice too. The broth was good and mild. 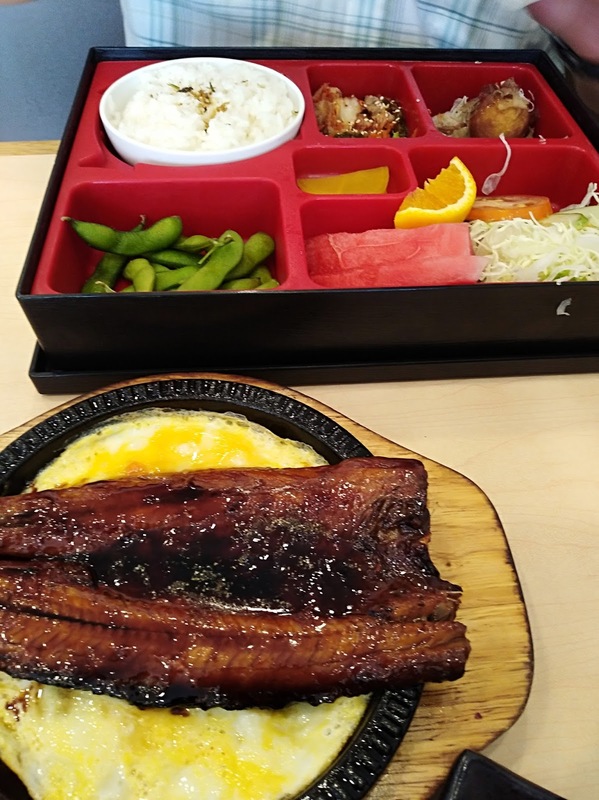 Unagi Kabbayaki Bento was my girl's choice where as my man went for the other version of kabbayaki, Sanma kabbayaki bento. We had a set of Sakura sushi to share among us as well. 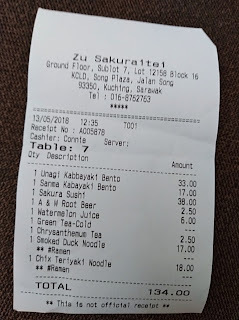 Total bill came out to be less than RM150. Surprise, surprise. A lovely Mother's Day lunch. Today is a special day in celebrating and remembering the love and sacrifice of mums (including me) around the world. 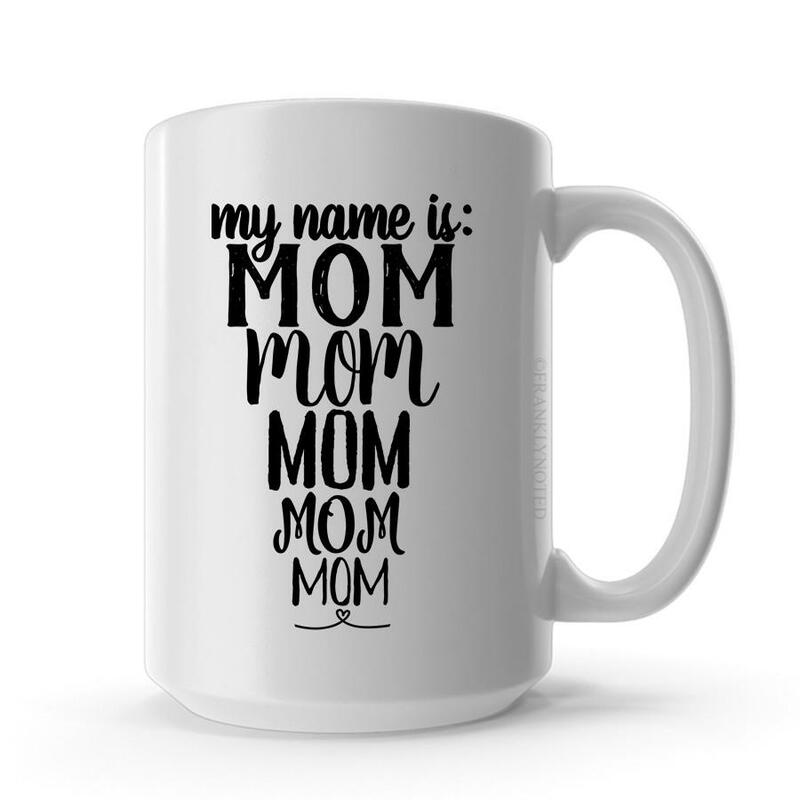 Life as a mum may be typical to some but nothing easy in bringing up children and at the same time balancing the household and works. It is a hard journey emotionally and physically. And almost impossible some day. But reality is everyday's thing. No daydreaming or a snap of fingers to escape from everything. Let's have a look at my typical day. On some day, I would be driving out again to send the kids to their evening tuition classes. Otherwise I would chilling out in front of tv, provided no one fight for it. 930pm Sleep and dream of the same routine the next day! History is in making. A historic day on 9 May when we had the GE 14. 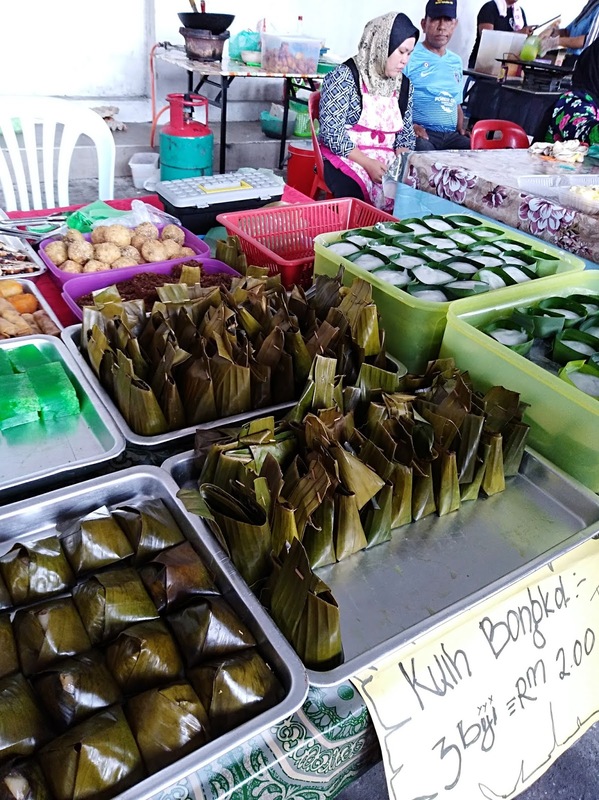 The next 2 days of public holiday followed suit after the opposition party won the general election for the very first time in Malaysia's history to claim a new ruling party. It was surreal. Everyone had posted over social media and chats group on the historical victory and holiday but that was after I slept. I went to bed before 11pm on Wednesday. Cannot wait for the official result but when I woke up the very next day, I finally realised the true facts of the news and holiday. A new dawn has shined on us. Few noodles stalls opened but not many option other that noodle. 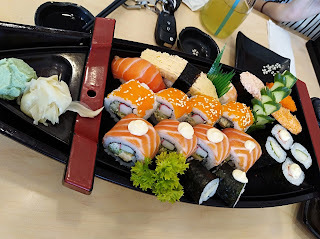 However we did ended up with something to eat. The kids and big man went for the kampua from the kampua stall. 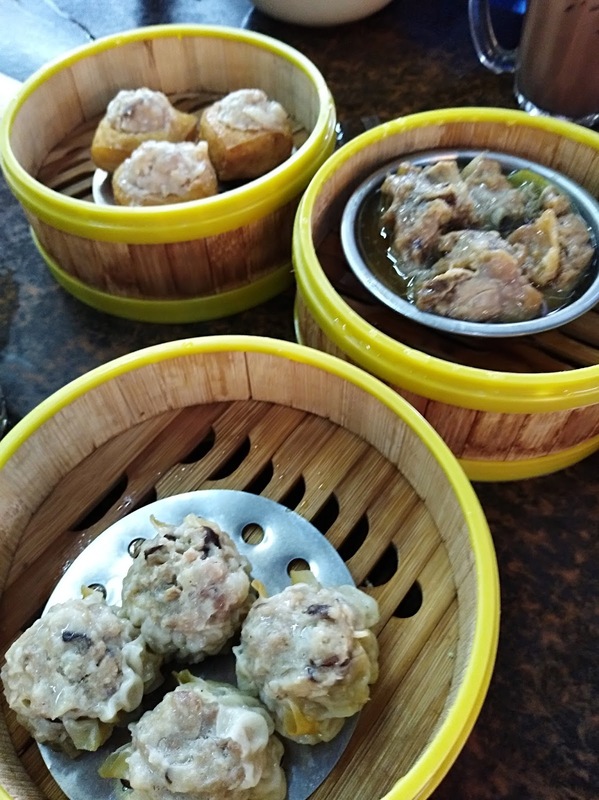 My man also ordered some dim sum to share around. 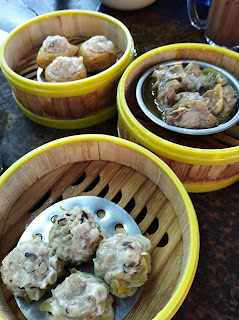 3 baskets of dim sum for total of RM5 each. 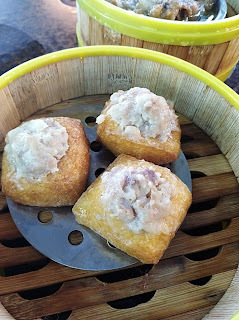 All meaty dim sum. I did enjoyed the braised pork ribs. 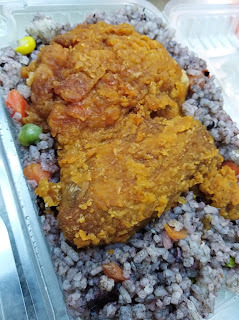 Very tender and tasty. The sui mai was very huge and meaty. I thought these stuffed beancurds were not as good as the other two. However nothing went wasted on our table. For my main dish, I ordered a bowl of kueh chap (RM5). Taste-wise it was alright. The soup wasn't that strong and I can accept the taste. We spent the rest of the day at home. And then, by late morning, we received news on state government declaring 2 days of holiday on 17 and 18/5, not 10 and 11 May. So my man had to run down to office to work yesterday afternoon. So much for the holiday mood! As for the school, after much messaging and asking around, the school board decided to hold 10 and 11 May as holiday as well as on 17 and 18 May. So it means the school mid-term exam would be dragged longer to following week. And to Malaysia, a new dawn has begun. To a better and unified Malaysia. I am proud to be a Malaysian.